Effective Bird Control has been providing Bird Pest Control services since 1996, we pride ourselves on our client retention and effectiveness of our Bird control measures, Specialists in Falconry Bird control, an Environmental Services company that only deals with pest control, working with nature NOT against it is our calling card. We have flown our Harris Hawks in many cities in the uk; although the city of London remains our stronghold. 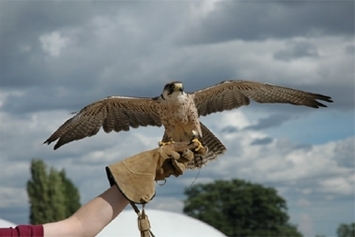 Effective Bird control employs natural methods to deal with the ever increasing sprawl of the urban gull, long established provider of Falconry response services to large Blue chip companies and councils, We succeed where others fail, over 25 years experience of flying hawks and falcons throughout the UK. Using natural deterrents to effectively deal with feral pigeons, urban Gulls and pest birds that can create a health and safety issue within the urban environment, Falconry Bird control carried out by our team of Harris hawks and falcons, flown by our experienced bird controllers, the aim is to scare and not to capture, Creating a Predatory presence with in the pest bird infested area, regular visits are maintained to move the flock of pest birds away, reducing the amount of pigeon / gull droppings that can build up on the site. 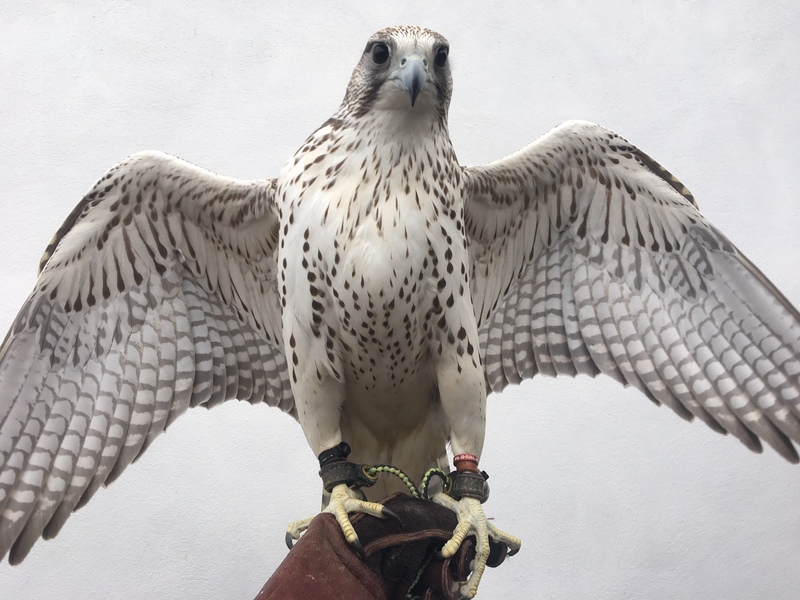 We match the correct hawk and falcons such as; harris hawks, peregrine falcons and hybrid falcons, which deal effectively with herring gulls and Lesser black backed gulls. 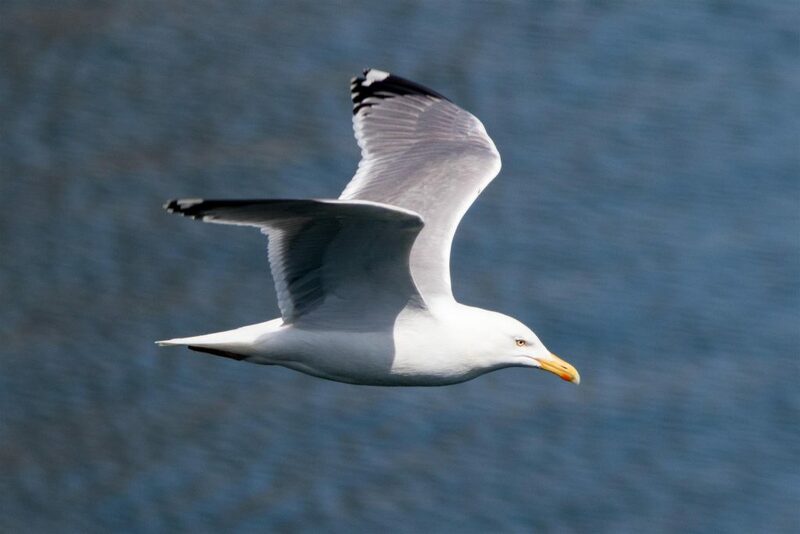 These species are most encountered in a urban environment and conflict with people is likely to break out during the gulls breeding season. 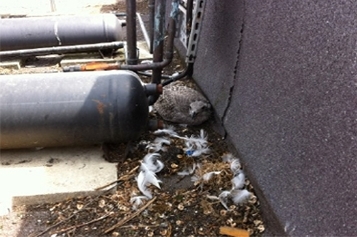 This usually takes place in the spring and summer months when nests, eggs and fledglings are present on the rooftops. Parent birds are highly protective and will dive bomb and can become a threat to other animals and humans. We can remove the problem with regular roof access to remove nests and eggs under a general license and fly birds of prey within the territory during the breeding season to drive the colony away. This is a very effective method that we have implemented for many years that is very successful. 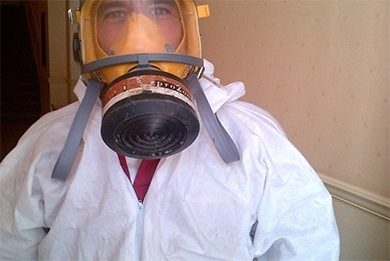 We do carry out regular follow ups to each site to ensure that colony does not reappear. We strongly believe in working with nature and NOT against it and always make sure the birds are not harmed throughout the process. 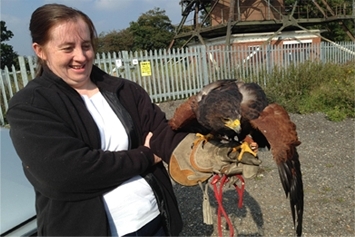 Blackwater Falconry/Effective Bird Control provide an efficient and thorough removal of Bird waste as well as disinfecting the contaminated areas. Pigeon droppings or more accurately termed Pigeon Guano can contain a number of harmful bacteria’s which can be passed on to ourselves, from London to Scotland we provide nationwide coverage and Free site surveys..
Blackwater Falconry/Effective Bird Control specializes in the flying of Hawks and Falcons to reduce pigeon populations in an urban area. We have flown our Harris Hawks in many cities in the uk; although the city of London remains our stronghold. 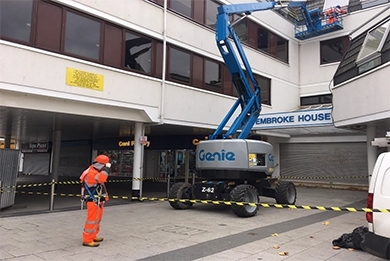 We have over 20 years experience in this field and our services are carried out in a sustainable and environmentally friendly manner, along with free site surveys. From bird spikes to nets we can install the full range of anti bird measures and deterrents. 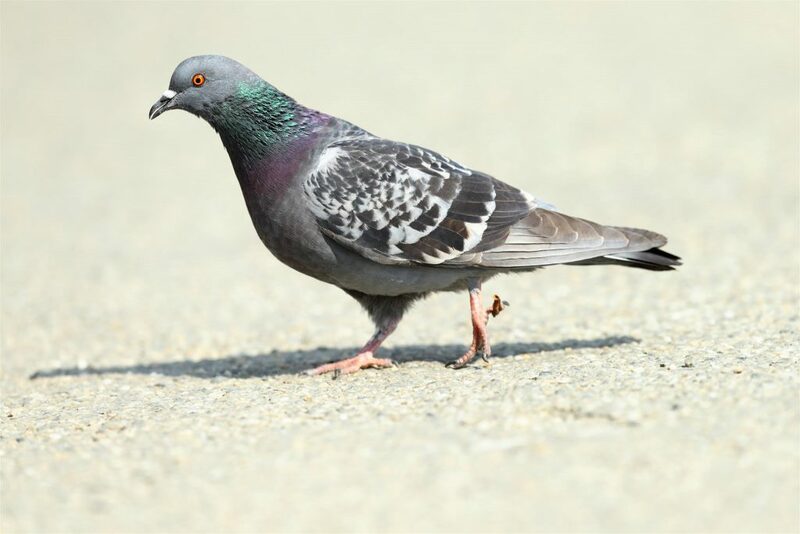 Spikes, netting, pin wire, kites and blank firing devices are all popular forms of pigeon deterrents we can supply and install to prevent nesting and roosting of Feral Pigeons. 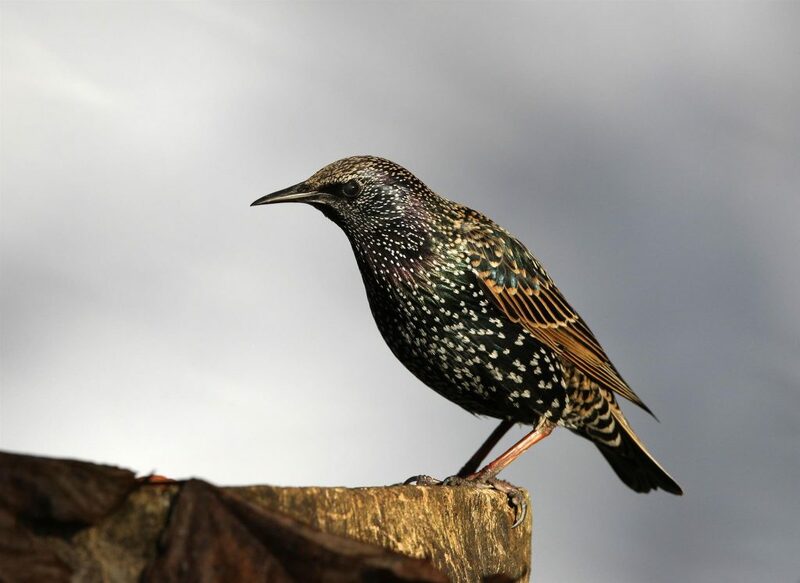 We carry out free site surveys and method statements, with free advice on how best to protect your premises from pest birds. 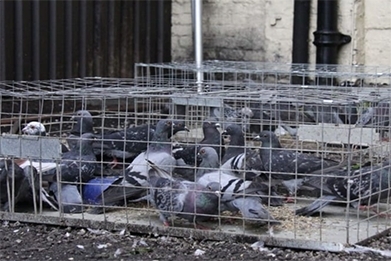 We offer a discreet, fast and efficient trapping and removal service of feral pigeons from your premises. Trapping can be the most effective measure in the right location and teamed with our popular long and short term hawk flying service contracts, we can add the flexibility of having the two pigeon control options work side by side to great effect. 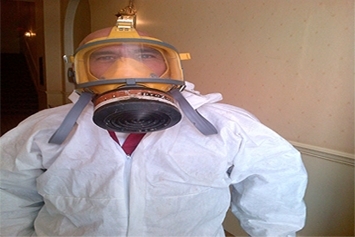 With nationwide coverage and free site surveys its a combination that’s hard to match. The gull control has been very successful since you have been on site this year. The initial work comprised the removal of deposits of pigeon guano and cleaning of gutters and drains and the installation anti bird spikes along the guttering of the church. 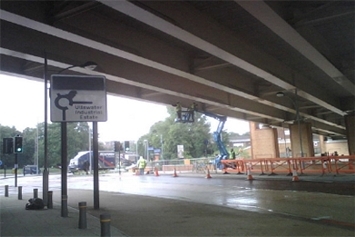 This work was carried out very efficiently with minimal fuss and disruption. Subsequently we have had pigeon traps placed on the roof of the church to capture the flock of birds. This has proved to be quite effective and a number of birds have been caught and removed. Upon notification that there are birds in the trap the operatives attend promptly to remove them. The hawking and pigeon cages were a great success last year and we have considerably reduced the amount of pigeons. We are coming into exam season and would like a refresh of running the hawk and have a couple of cages on the roof.